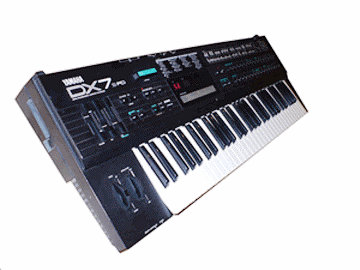 DX Manager is a patch editor and librarian for the Yamaha DX7 and compatible synthesizers. DXM works with the MK1 and Mk2 DX7, TX7, TX802, DX21, DX27, DX100, TX81Z, DX11 and FB01. The current version, DXM 5.3, is free to download for a 30-day trial and $20 to buy. Upgrades and technical support are free and unlimited. For a WinXP version of DXM please click here. Check the DXM5 release history here. DXM5 introduces Patch Viewer support for all synths except the MK1 DX7. This feature allows you to see at a glance all patch types on your synth. Select and download any or all patches directly into a Patch Explorer or Tool editor window. Patches can be dragged to any open Patch Explorer or Tool editor window. Full support for the Yamaha FB01 tone generator including voice and configuration patch editing as well as hardware controller support. 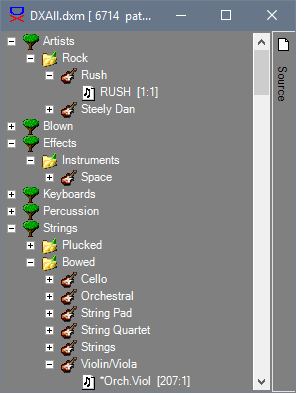 A virtual MIDI keyboard and customisable Color Themes are further new additions. Patch Viewer keeps track of all patch types on your synth. Download patches, banks or everthing in one go, automatically opening editors. Patch Viewer is implemented for all supported synths except the MK1DX7. Edit voices, performances, functions, microtunings, fractional scalings, effects, system setups etc. Get pre-programmed controller settings for your synth. 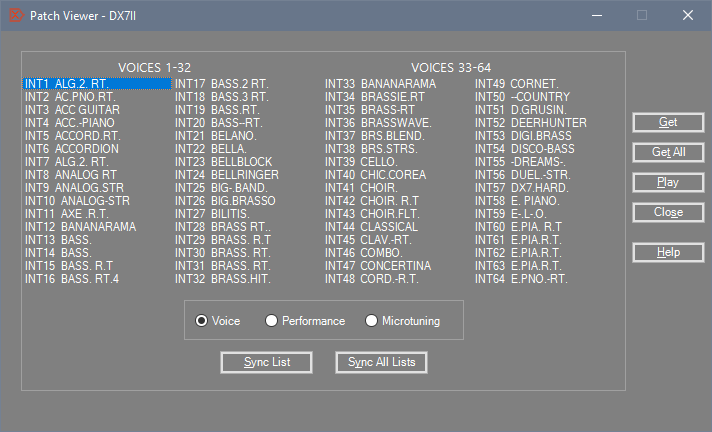 Master Template includes 32 Presets covering most DX/TX models. Integrated Preset, Control and Global parameter editing. Patch Viewer shows what's on your synth for easier downloads and patch management. Universal DX voice patch editing supports all patch types, packed/unpacked etc. 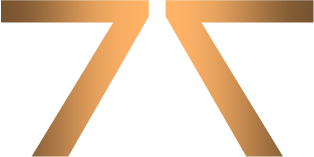 Tool editors for editing/managing Performance, Microtuning, Fractional Scaling and System Setup patches. Tool for automatically generating new patches with full control over sources and parameter selection. 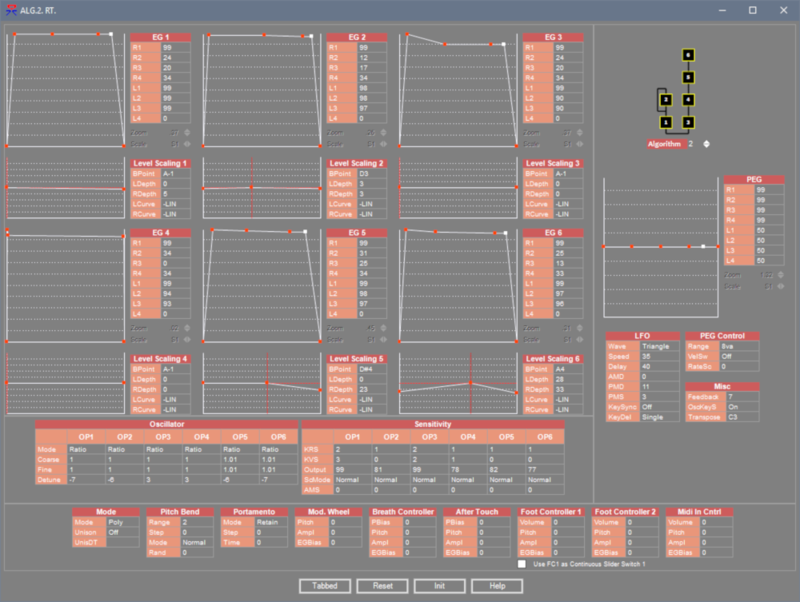 GUI editor for the Behringer BCR-2000 controller with 32 presets pre-programmed for all patch editors in all supported DX/TX models. 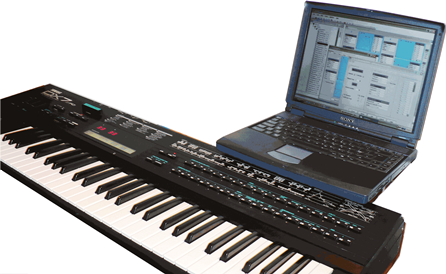 On-board virtual MIDI keyboard and MidiFile player. PD Patch libraries (includes Mk1 amd Mk2 DX7 Factory patches, over 6,000 sorted PD DX patches and a "best of DX" library).